We've all got that record, the one we discovered early on that completely changed the way we look at music. 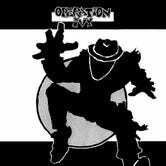 Mine was Operation Ivy's 1989 effort Energy, and I'm proud to say that—I think—it still holds up. I loved pretty much that whole album to death, but it was "Sound System" that really blew my mind. The second track on the record, Sound System is the first ska track (after a straight-up punk opener) that's definitely a little low-fi, but terrific nonetheless. Somewhere in those crusty vocals and guitars that occasionally sound like robots chewing aluminum, you can find the basics of a catchy group chorus, some requisite "pick it up! "s, and lyrics that are surprisingly poetic in places.